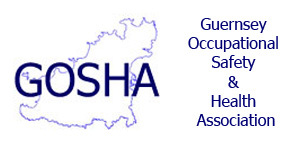 GOSHA was formed in November 2004 and we aim to help businesses, charities and other organisations in Guernsey to be better informed about workplace health & safety. We are run by volunteers and are a not for profit association. We advocate a sensible, practical approach and, often, the simplest measures can be employed to make the working environment safe and pleasant for those employed in a business. A regular walk around to look for hazards (a risk assessment) can make a big difference and many businesses engage a variety of people to be proactive in checking and improving workplace safety. Good training makes a huge difference and takes away the often poor image of workplace safety & health portrayed in the media. We organise talks throughout the year by a variety of on and off island experts, site visits and a newsletter to help people to be better informed. Our biennial awards, kindly sponsored by Guernsey Water, Guernsey Electricity, Trant and Ronez and annual Safety & Health in the Workplace Week kindly sponsored by Rossborough Insurance are highlights of our activities, giving the chance to highlight those businesses and other organisations which achieve standards which others can follow and to hear top quality speakers without charge at breakfast briefings here in Guernsey . Sign-up for our news letter and learn about our up coming Events and Talks. Please click here to join GOSHA.